If we are interested in a container home, it is because of the financial advantages of building it. For example, a home of the classic type will cost you 1500 usd / m2 if it is made by an entrepreneur. While a container home in self-build will cost you only 200 usd / m2 ready to decorate and 400 usd / m2 made by a contractor. This is a saving of approximately 90%, which is not negligible on a multi-zeros Invoice. Indeed, the container allows you to take a lot of lead to a traditional building site. The container itself acts as a single wall, floor and ceiling. No work that never ends! No stacking of cinder blocks! Once the container is laid, the body of your home is finished. And reduced construction time induces divided costs. 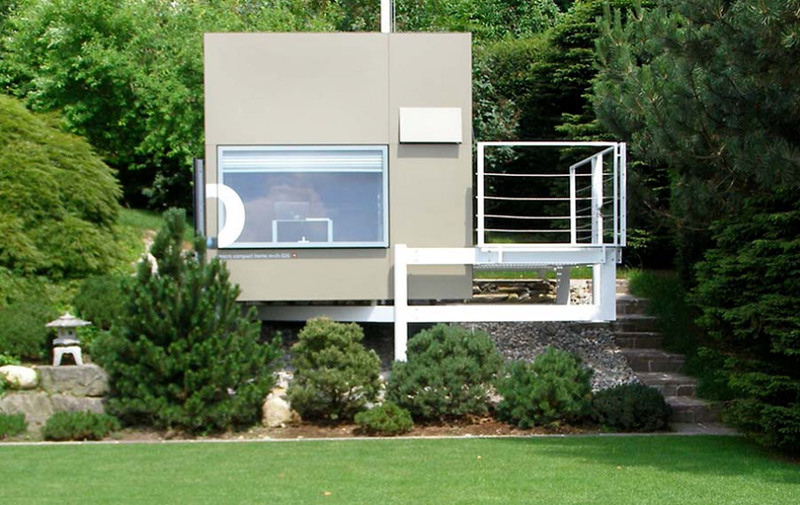 The container home is a very good way to save money while owning a property. Because of the reason that in order to build a container home, you do not have to do all the heavy work to have walls and a roof on its head, you will save a considerable amount of time. On two comparable sites: one being the classic type and the other being made of the shipping containers, you can count on a time saving of about 70% when you choose to build a container home. This is an important parameter when one considers the fact that one has to be present or close to the site while it is being built on and not to mention the lot of stress one has to bear with and the responsibilities involved in such a project. Another big advantage of this type of home is the fact that you can carry out all the steps yourself with a little documentation, arms and being a little handyman. All complex or expert steps (such as dimensioning or structural strength) are already carried out on a container. 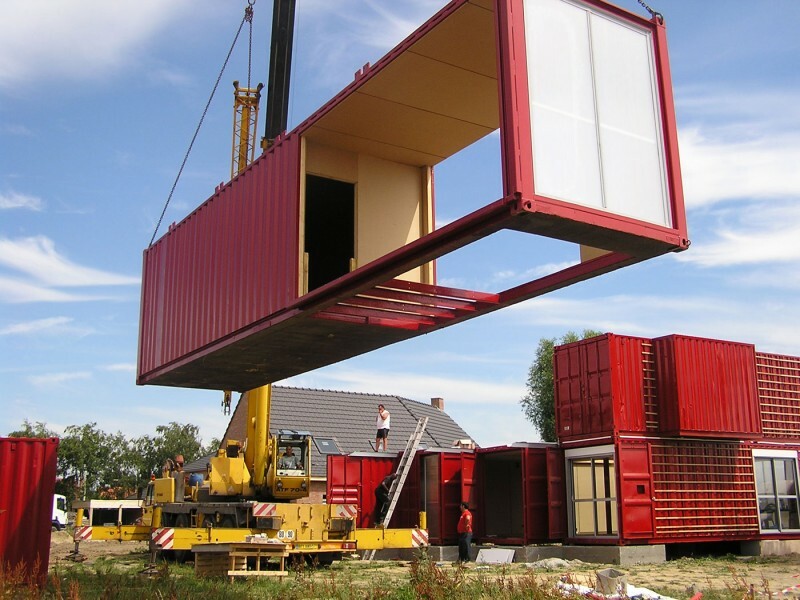 Actually shipping containers are self-supporting structures, that is to say they are designed to be resistant to their own weight and to the stacking of several containers. By building your container home at your own pace, you will save money on all your plans and will have a home perfectly adapted to your needs. Moreover the container homes are ecological. Let me explain. First of all, by using sea containers you are recycling an end-of-life product that would have spent a huge amount of energy if it had been recycled. You are recuperating and giving a second life to an object that is costly in terms of its ecological footprint. Moreover, the blocks made of mineral materials causes harmful waste disposal to the environment during their production. We all know that the industries are not very cautious about the harmful waste disposals. By buying homes made of concrete, cement or other mineral materials, you become complicit in these activities. Finally, a container home is a natural faraday cage because being a metal box made of insulating metal, containers stop electromagnetic waves. A shipping container home even shelters you of the electromagnetic pollution. 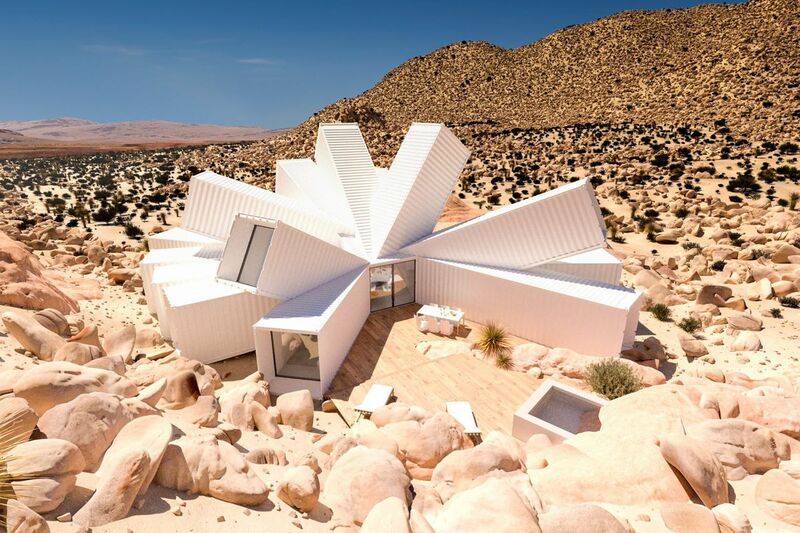 Container homes are customizable and stackable. Everything is possible: stack containers, cover them with panels, add modules later and even cut containers to find more original architectural forms. Look at the images and plans in these Build Your Shipping Container Home books to enrich your imagination and find the best shipping container home style that will suit you. Even the owners of hotels, student housings and restaurants use the container homes for all their advantages and original architecture. 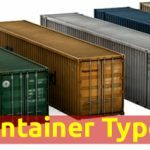 How to choose your shipping container? First, orient yourself to “last-trip” containers. There is no need to buy a new shipping container. This would cost you additional and, again, unnecessary expenses as last-trip containers largely meet the requirements of building a container home and will save you money. 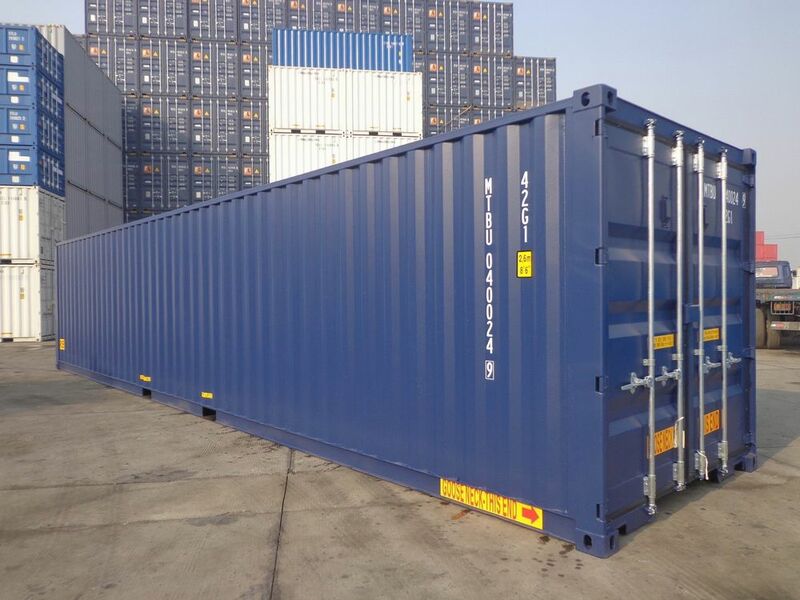 Secondly, select the number and size of containers that will be needed to complete your project. Lastly, you will have to choose the coating of your container. It is not necessary to cover or to repaint it, the steel which composes it, is naturally oxidized which gives it anti-corrosive properties. Some people do this to preserve the aesthetics of the container. For those who don’t like the look of the raw metal or paint flaking, you can either paint your container with a suitable paint or cover it with panels. Anything is possible, you can cover your container with wood, PVC or even metal panels with a stylized look. Think about all this before you start the building process of your container home, to avoid the nasty surprises. 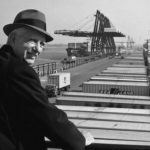 Where to buy your shipping container? It is often the most worrying step, when it is certainly the easiest. Many Internet sites offer the sale of containers of different types, different sizes and in different states. Sometimes it is hard to choose. Very often the sellers of containers offer in addition the delivery to your land. All the rates are communicated beforehand which will allow you to estimate your costs. 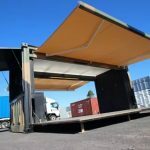 Moreover, among the many shipping container sellers that are present in many different places, you can find the closest to you to limit the costs. Finally, as the construction of a container home is becoming more and more popular as the years pass by, distributors are accustomed to this type of demand and are increasingly adapting their offers. 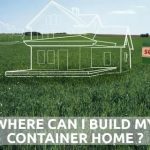 Where to build your container home? Of course, after choosing the shipping containers and its architecture, we will have to find a place to install all this infrastructure. This step is one of the most important, you must take your time, ask for conflicting opinions and not hesitate to meet your neighbours in advance to avoid unpleasant surprises. Think first of the proximity of roads, shops and villages in order not to be cut off from the world. Also think about the accessibility of your land, you shouldn’t have to buy a 4×4 just to get to your home (off course if you already don’t have one). Moreover, during the construction of the site, delivery vehicles and trucks will have to be able to access the site without difficulty. You will also need to find out about the presence of a power grid and a piped water supply near your property, otherwise you will have to pay the costs of connecting to the grid. Your dream home will have to have a source (it would not be perfect without this !). With a water source on your property, you only have to connect to it to get water; for electricity, solar panels and, finally, a phyto-purification system to clean dirty water. 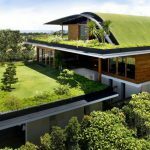 In addition, in order not to waste energy in Heating, it will be necessary to choose a plot that will allow you to build with favorable exposure. A home with large openings at the level of the South Facade in the living room allows savings of up to 100% of heating with good insulation. Choose a flat ground that will save you from incurring additional expenses for earthmoving it. And always be sure to check with the town planning services in charge of the land you are looking for, that it is indeed constructible and under what conditions. Ask for all the documentation related to this file to buy with full knowledge of the facts. What building regulations are in place? Before buying a land, you should always find out about its specific characteristics (wet, flat, trees etc…). But it is not necessary to neglect the administrative parameters of it to build without being worried. A building plot does not mean that you can build any home, any way : you have to meet certain rules. Each city, each village has an architectural code or local urban Plan that must be respected. Always consider all the physical and administrative constraints you might encounter before not being blocked in your project afterwards. How to connect my container home to the grid? Once you have found your plot of land and built your home, you will need to supply it with water and electricity to fully enjoy the comfort of your container home. Often this stage of construction is neglected but it is essential to anticipate before starting your project. If there is no hydraulic or electrical network in the vicinity of your land, the connection fee will simply become unenvisible. For these reasons, it is necessary to prefer a site called “viabilisable” or ” with the viabilities in edge “. This means that the network is already present at the edge of the land or that it is possible to bring it on request to the town hall without any cost incurred on your part. Once your plot of land is ” sustainable “, all you have to do is connect it with water and electricity. To do this, you will need to find out in the town hall about the company that manages the network that concerns you, you will then be able to contact them. An agent of the company will come by appointment to make an estimate of the cost of connection, the cost will depend on the distance to be covered to connect the edge of your land to your home. You can expect between 400 and 1000 usd to connect the electricity to a conventional intervention that covers a short distance. And in this same configuration you can count between 300 and 800 usd for the water connection. For the internet, The fees depend on the provider and are even sometimes offered by the access provider. As in the case of a home of a conventional type, you will have to proceed to the foundations, if your construction in containers is of a certain size and complexity. These foundations will also isolate the container home from the ground for greater durability, especially in wet areas. This will require some experience in masonry or professional assistance. 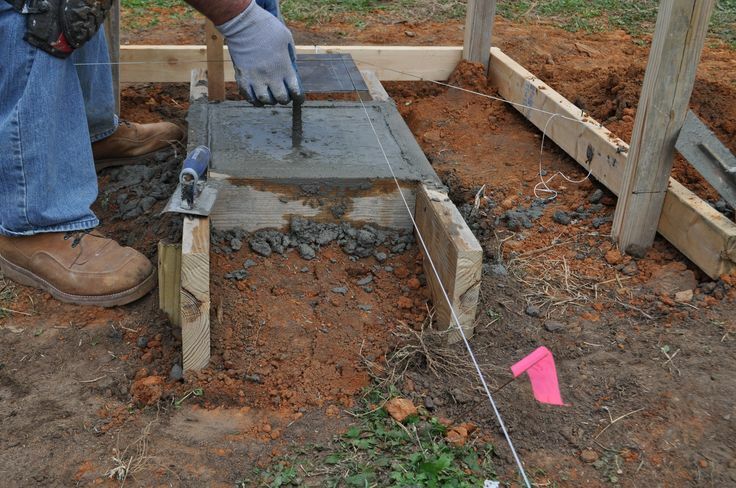 Of course the foundations are the basis of your home, so you must carry out this step with full knowledge of the facts. You can find a detailed information on foundations in Build your Shipping Container Home books. To connect the foundations to the container(s), It will be necessary to integrate metal plates in the foundations, in order to be able to weld the beaches firmly to the containers. For this stage, experience in welding is essential and, if not, a professional must be called upon. We are seeing more and more of the term “Passive home” appearing in the common vocabulary, but what is really a passive home ? 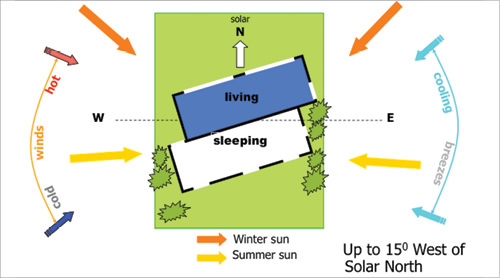 A passive home is a dwelling that uses little or no energy to heat the living rooms of the home during the year. The main asset required to enjoy a passive habitat is effective insulation and we will come back to that. In a second step, you will have to think about the exhibition of your home before starting the construction. We prefer a southern exposure for the busiest rooms ( living room, bedrooms…) and a Western or Eastern exposure for the terrace in order to enjoy the sun at the beginning or end of the day. If for any reason you place your Terrace to the South, think about finding a way to live in the sun in the summer. 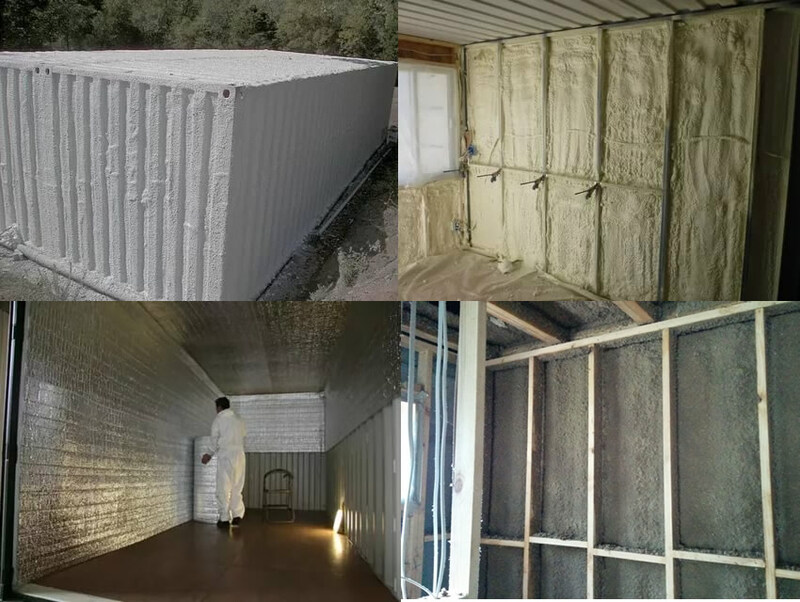 With a favorable exposure such as this one above, and with good insulation, you can make your container home a passive and economical dwelling. 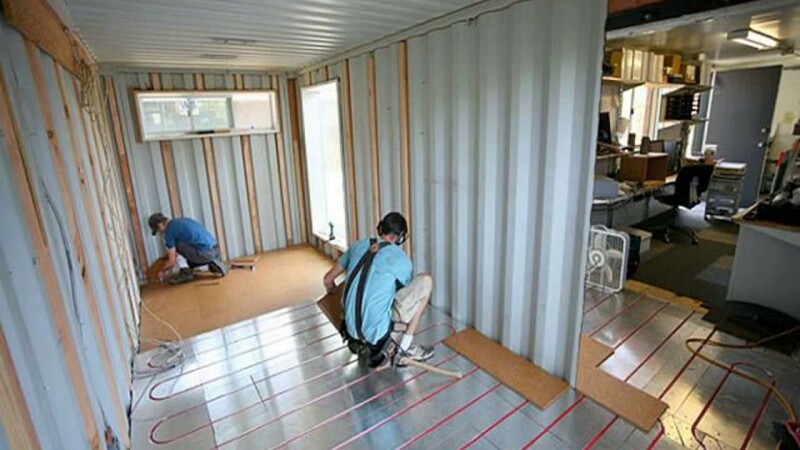 As with all homes, you will need to insulate the walls to save the warmth or freshness of our container home. Both the metal and the concrete are very bad insulaters of heat and will therefore not be enough for you to benefit from effective insulation. A big advantage of a container home is the thinness of the initial wall of the frame, this will avoid the loss of space inside due to the insulation of your home. To isolate your container home, prefer materials with low thermal conductivity such as wood, straw or rock wool that will ensure optimal insulation. A very efficient and economical technology is straw insulation. All you need to do is create a Rafter frame inside the container, which will strengthen the structure. if cut, fill the spaces with straw and then screw up the boards to cover the whole. This technique, combined with wood panels on the exterior, will ensure optimal insulation. This technique is simple and very effective in addition to being environmentally friendly and friendly to our wallet.